ECCLESIASTES 11:5 As you know not what is the way of the spirit, nor how the bones grow in the womb of her that is with child: even so you do not know the works of God who creates all things. St. Paraskevi Life Center is a community outreach, philanthropic organization, under the auspices of our Ladies Philoptochos Society. We provide families with essential items for infants that are not made available to them through any other agencies. The Center’s mission is to help these new families with infant necessities so they may enjoy and celebrate the gift of a new child in a proper and dignified manner. Mothers who come to The Life Center are women who have chosen to have their babies, even though they knew they would face great financial challenges after the birth of their infants. Although the St. Paraskevi Life Center is based at the church, it is a community outreach program extended to families of all faiths and backgrounds. St. Paraskevi Life Center began in autumn 1999, when Fr. John A. Heropoulos, then pastor, introduced this idea and concept to the Philoptochos members. In January, 2001, a few days before The Life Center first opened its doors, the ministry was the recipient of the coin during the annual traditional cutting of the Vasilopita. Truly it was a sign of approval from above. Since January 2001, the Center has helped several hundred families with the distribution of diapers, wipes, clothing, blankets and other necessary items. The families are sent to us from various community agencies. Currently, The Family Service League, and The Dolan Center of Huntington Hospital are the agencies that refer the families to us. The funding for this ministry comes from the generosity of the parishioners of The St. Paraskevi Church. 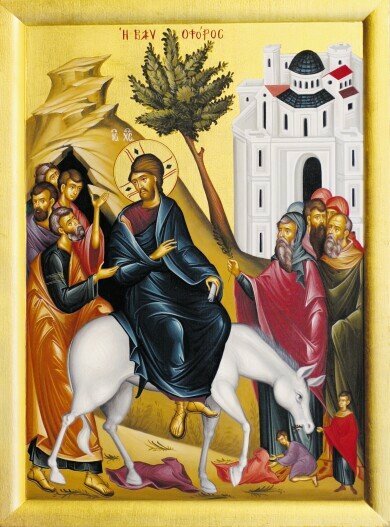 During the weeks before and after the celebration of the The Life Center's name day , which is on February 2, The Presentation of Our Lord, there is an annual fundraiser. The parishioners have always been generous with their donations, without which, our ministry could not exist. Together with the incessant support of our priests, Reverend Doctor Dimitrios Moraitis and Reverend Father Lou Nicholas, and the financial donations of our parishioners, we are able to fulfill the mission of the ministry. Volunteers from the parish offer their time and talents to help run the ministry. Word of the assistance this community outreach program has provided the families, has spread throughout Huntington, Long Island and the Greek Orthodox Churches throughout the U.S. The Dolan Center of Huntington Hospital awarded the St. Paraskevi Life Center a certificate of appreciation, for being the only program of its kind to give diapers, baby wipes and other necessary items to mothers and their babies. Upon the presentation of the certificate, Carolyn Licata, social worker at the Dolan Center congratulated us, for the philanthropic and charitable work we provide the members of the Huntington community. The hours of operation are from 10:00 am to 12:00 pm on Tuesdays and Thursdays. The ministry is operated by volunteers from the parish community. If you would like further information, or care to contribute to the St. Paraskevi Life Center, please call 1-631-261-7272.